Two Nigerians were among 14 young female scientists across Sub-Saharan Africa celebrated at the 2017 edition of the L’Oréal-UNESCO For Women in Science Sub-Saharan Africa ceremony held in Johannesburg on 8 November 2017. They were honoured for their work and impact in the scientific field. 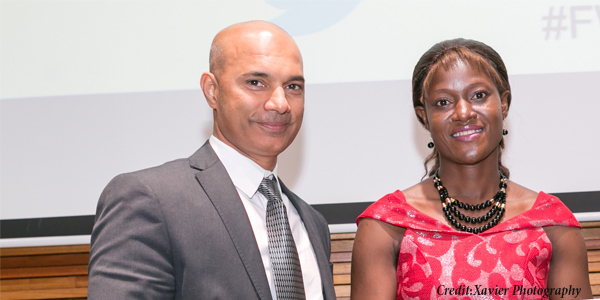 Olawumi Sadare, a Chemical and Metallurgical Engineering PhD student at Witwatersrand University was awarded a doctoral fellowship by L’Oreal-Unesco. Her doctoral research work is on: Development and Evaluation of Adsorption coupling Bio-desulphurization (AD/BDS) process for the desulphurization of South African Petroleum Distillates. The aim of her study is to develop and evaluate a hybrid process (AD/BDS) for the desulphurization of South African petroleum products (e.g. diesel) to obtain ultra-low sulphur content. Her research adds on to the few studies that have been reported on the bio-desulphurization of South African petroleum distillates. Oluwademilade Fayemiwo, a PhD student in the Department of Chemical Engineering was also honored on a global stage as the recipient of a L’Oréal-UNESCO For Women in Science 2017 fellowship. Title of Project: Novel tannin-based adsorbents from green tea for the removal of organic pollutants in oilfield produced water. Since 1998, the L’Oréal Corporate Foundation and UNESCO have been committed to women in science and to increasing the number of women working in scientific research. 150 years after Marie Curie’s birth, still only 28% of researchers are women and only 3% of Scientific Nobel Prizes are awarded to them. For the past 19 years, the L’Oréal-UNESCO For Women in Science programme has worked to honour and accompany women researchers at key moments in their careers.Since the programme began, it has supported more than 2,700 young women from 115 countries and celebrated 97 Laureates, at the peak of their careers, including Professors Elizabeth H. Blackburn and Ada Yonath, who went on to win a Nobel Prize. The L’Oréal-UNESCO For Women in Science Sub-Saharan Africa programme was launched in 2010. Congratulations to these brilliant women! Posted in Fellowships, Inspiration, Role model, Training and tagged Africa, Africa STEM, african development, African scientist, African women in science, innovation, Loreal-unesco, Nigeria, Science, women in science, Womeninscience. Bookmark the permalink.